Eating disorders are often conceptualised as a result of lifestyle related facts; however they are serious, fatal illnesses that cause distress and impact overall health of an individual. Bulimia Nervosa and Anorexia Nervosa are classified as severe psychological eating disorders which can rapidly turn life threatening. Bulimia Nervosa is characterised by binge eating or consuming large portions of food & then purging (vomiting) to get rid of calories and escape weight gain. Anorexia Nervosa on the other hand is characterized by extreme fear of gaining weight, and a strong desire to be thin, resulting in extreme food restriction, excessive exercise; this is followed by induced vomiting, or abuse of laxatives to promote weight loss. Unfortunately, both Bulimia Nervosa and Anorexia Nervosa significantly impact Kidneys. A person diagnosed with Bulimia is highly susceptible to develop painful kidney stones. Anorexia on the other hand increases the risk of acute kidney injury and chronic kidney disease (CKD). 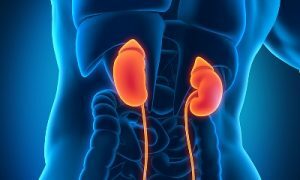 Both starvation and cycles of binging and purging can lead to extreme vitamin deficiencies and electrolyte imbalance, this in turn disables kidneys, thus reducing their ability to remove toxins from the body. 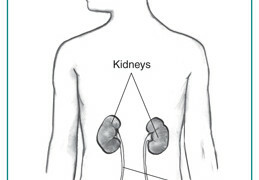 Also, decreased fluid consumption leads to dehydration; when dehydration sets in, kidneys begin to malfunction. This can increase blood pressure, off-set the electrolyte balance, and allow toxins to build up in blood stream. Continuous and severe dehydration along with malnutrition associated with the disorder, takes a serious toll on the kidneys. In some serious cases, this could be extremely dangerous and the person could require a kidney transplant or have to be put on dialysis. OVERUSE OF MEDICATION: Many medical issues that are related to Bulimia and Anorexia may occur from the overuse and abuse of medications. Easily accessible over-the-counter (OTC) medication that many people consume to induce vomiting, restrict the blood flow to the kidneys. Diuretic or ‘water pills’ aid in Kidney damage as they induce dehydration and increase vitamin deficiencies. Most people who suffer from Anorexia Nervosaare also addicted to Caffeine, Tobacco, Laxatives and Diuretics. 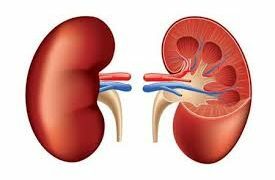 Overall, un-prescribed medications and ruthless abuse of laxatives & diuretics not only deplete Kidney health but also responsible for weakening of heart muscles. CO-MORBIDITIES: It has been clinically proven that individuals showcasing diabetes and hypertension are at an increased risk of developing Chronic Kidney Disease (CKD). Blood Pressure if not controlled can cause the Arteries around the Kidneys to harden. If the blood sugar levels are high, they damage the blood vessels in the Kidneys, and hence limit kidney function. People suffering from these disorders should seek help of doctors. Many problems associated with Bulimia and Anorexia are reversible through timely intervention. Once diagnosed, a mental health expert, a nutritionist, along with a close family member will come together to initiate treatment. Mental Health experts play a significant role in tackling Bulimia & Anorexia, they help you deal your emotional needs and can also help you take control of your eating. 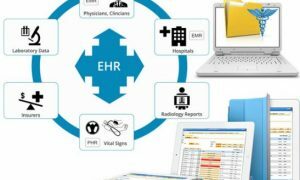 However, if one does not seek medical help on time, in some cases the damage may be permanent.